100% Cotton with AGV Logo on the left chest. This t-shirt is issued by AGV, Valentino Rossi's helmet sponsor, and is not generally available in shops. Available in size S, M, L & XL. 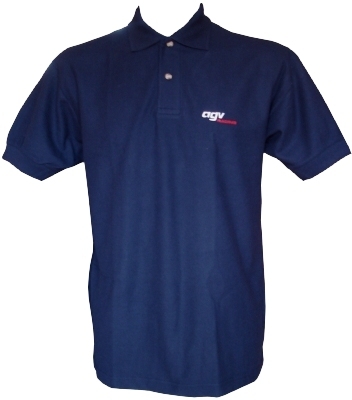 This is of course official AGV Merchandise.